I am not working this week, I needed some time to relax, to help with the ongoing and dusty house renovation and eventually if time permits experiment with new beauty products, so here I am, safe and warm, at home. I am having fun, so far I could test a few new products that you’ll shortly see in my upcoming reviews. I was really hoping to benefit from better weather forecast this week, it’s extremely humid, foggy, snowy-sleety, the trees are covered with a white fog iced coat and believe me outside you feel your bones shivering with cold. Today I experienced a weird unsafe situation while warmly installed at home in a very safe Country. I thought maybe I should to share with you, I know it’s not a beauty related post but I’ll try to be brief and informative. We never know, it may help somebody. FMS: Hello, is this Mr.G ? Me: (Okay, I’ll bite to see where this is going) Which PC would that be? Me: Yes, which one? I have several. Do you have the host name? Me: Okay, which virus is this? FMS: A Trojan, it’s a type of virus. FMS: Are you IT litterate? Now, I know it’s not a good idea to give too much info to scammers, but in this case I wanted to see where they were going so I only gave out a minimum, and nothing that couldn’t easily have been looked up. I also wanted to see if they gave me any clues as to where they got my home telephone number from (appart from a random search in the telephone book), but no luck on that front. Caller ID numbers can easily be faked and in this case it sounded like it was coming through some very poor quality IP Phone. WTH ??? just be careful with this kind of intrusions, they can take you by surprise, never give them any details, never allow them to take control of your computer, never ever give them your credit card or bank details. I believe in some countries there are special forces dealing with this kind of security intrusions, here we don’t, we are supposed to report them to the local police. If they started to do this scam 3 years ago, it proves that it must work otherwise they would have stopped it by now. 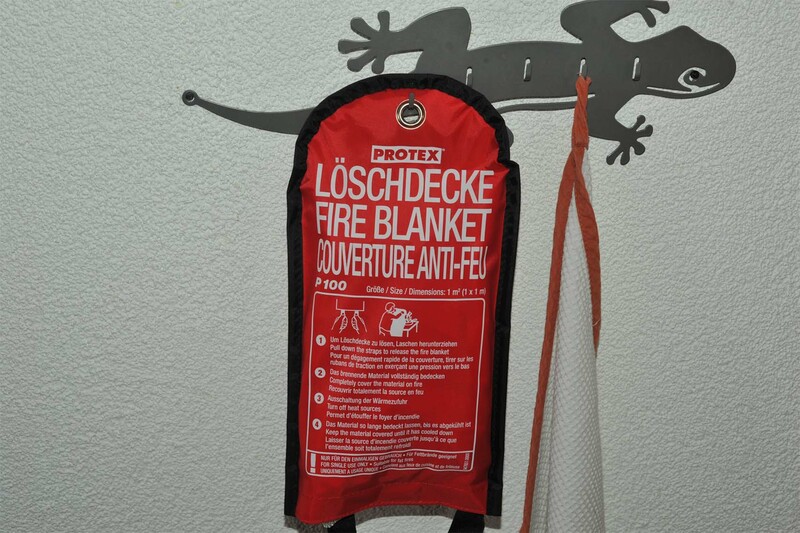 Easy to use, you pull down the straps, wrap your hands around the corners to protect your hands and cover the fire with the blanket. Stay safe and warm … (not beauty related) was last modified: March 27th, 2013 by Sonia G.
Sorry you are having this freezing cold weather there. We are too here in England. It has to stop ! lol. The scam is a well known one that has been doing the rounds for years. My sister in Ireland had one of these phone calls about 2 years ago saying they were Microsoft staff and as she didn’t know offhand her passwords that they asked for they said they would call back the next day. Luckily by the next day she had told me about it and I warned her off of speaking with the scammers. They were guys with Indian/Pakistani type accents. My sister would not have known anything and she believed them when they told her that she had a problems with her computer. She can barely use a browser. Great that you posted this to warn others. oh I heard about England, I watch BBC a little every evening, gosh this weather has to stop !! I am happy your sister managed to avoid problems, I just couldn’t believe it this morning ! these scams have to stop too !!! Here in the USA, it’s common to have your email hacked. It’s happened to 3 of my friends. It’s sad that we have to have our guard up all the time. Your boyfriend did very well and was smart to be suspicious right off the bat. Oh my, I find scams really scary. And even scarier when they happen to people I know. Thanks for sharing this on your blog. I’m glad that there was no harm (from the scam) and your boyfriend dealed with the scammer really well. I hope your hands healed back from the fire incident! Thanks for the warnings! Knowing me, I need them! PS the phone number could have been taken off the internet. Try doing a search for yourself. It’s scary how much comes up! yes they healed quickly thank you 🙂 I was very very lucky !!! accidents sometimes are so incredibly silly !!! Uf, that’s a common scam and it started some time back. Here we have rain, rain, rain. It’s been the rainiest March in the last 100 years. Great advice about the fire blanket, Sonia. I’m going to buy one. You just never know, do you? Where would a person get a fire blanket? Glad you dog is well now, such a relief to have a healthy pet again. my parents live in Spain and they also have enough of the rain !! you never know Sylvia, it’s the second time I have to deal with fire at home, but the first time it wasn’t my fault 😛 phewww ! the kitchen burnt completely and I had to deal with it with what I had around me, just a few kitchen towels, we have just a sec to make the right decisions so now I prefer to be ready ! Hmmm you know, I think I had the same missed calls over and over again !!! keep your fingers away from the oven 🙂 big hug !!! Nice one Bea 😀 😀 😀 LMAO !!! If only I could see their face ! I just can’t believe how many people have been bothered by them !! 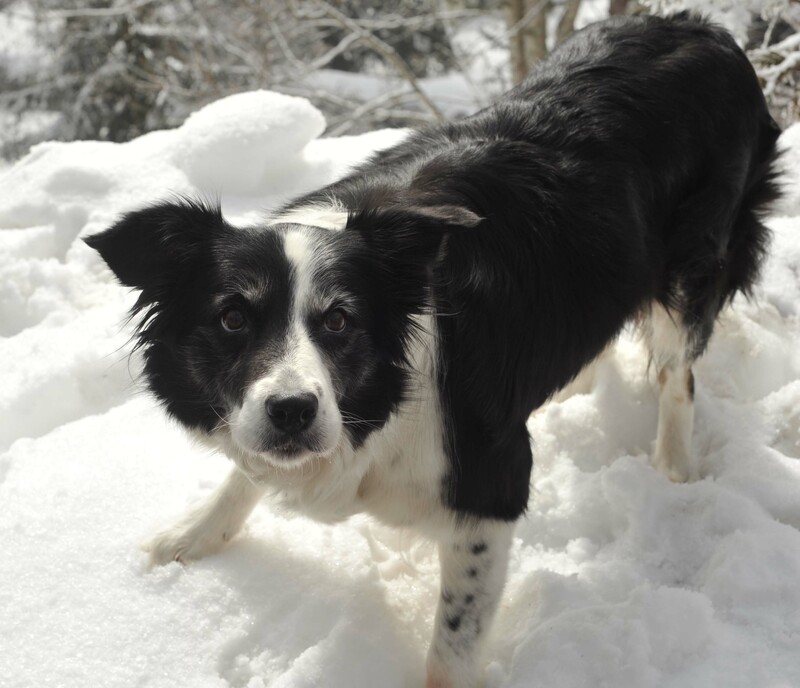 Sonia, you may be tired of your winter and snow but I loved your beautiful picture! You would laugh hearing us complain where I live about the “freezing cold” and “horrible” weather! We don’t really even need to get coats out! Scams like that attempt do creep me out. Even a phone call with someone knowing your name is such an invasion of your personal space. The idiot sure didn’t know who he was trying to run a computer scam on! Wrong household for sure! 🙂 It is clear to me that spy was behind the whole thing! Hugs to the very healthy looking baby of yours! 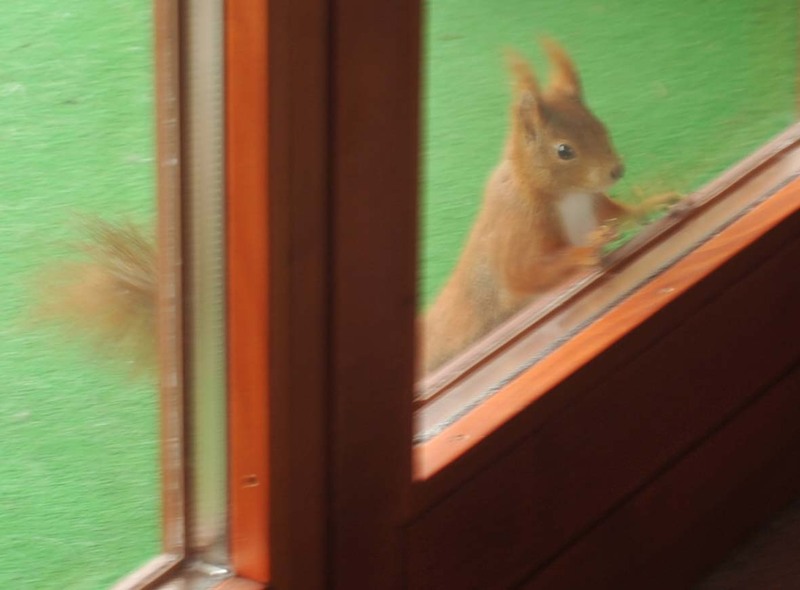 😀 funny cute little spy, kept on knocking on the window !! I was holding the ball above the camera so she could give us a look otherwise it’s like an animal on drugs ! the only thing she wants to do is play with her ball ! We keep fire extinguishers in several places in our house. I was depotting a Dior quint the other day using my iron since I don’t have a flat iron so placed one nearby before I began…just in case! Aside from getting injured, I wouldn’t know how to explain burning the house down because I was trying to soften a plastic eyeshadow case. The risky things we do in the name of beauty :p…but I do love my depotted shadows and blushes! I’m so glad you weren’t hurt in a terrible way when you were depotting. I always joke about how funny the melting plastic fumes are when I am depotting, but it really is important to take safety precautions!! We don’t have such cute red squirrels with the pointy ears in my neck of the US Northeast woods, but we have the fat grey squirrels. That’s an adorable picture. I have a little tree house full of nuts for the squirrels and the birds 🙂 we have dark and red squirrels but it’s the first time he comes that close. Your dog and little house guest are gorgeous! I’m so glad she is better 🙂 And the snow is beautiful although I definitely understand how tiring it must be to have the cold around so often! I was up in Harbin, China last year and it was -20C. I was only there for a few days but it was soooooo draining. I loved it though, as we were there for the ice sculptures festival they run every year. I laughed at the scam convo, but really, better to safe than sorry. Thank you! I have looked out the pics for Harbin, it’s incredibly beautiful ! The fire blanket is a great tip! Surely need one around the house. 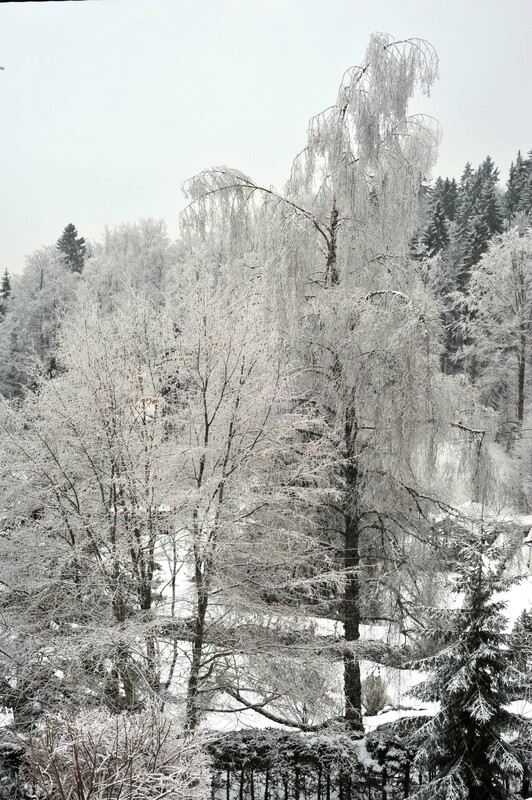 I know you are sick of the cold but that picture is beautiful. Thanks for the heads up about this scam since I had never heard of it. I will have to let my Mom know because she probably would have gotten conned. One question, why are so many re-potting their cosmetics? Is there something wonderful that I’m missing out on? re-potting (depotting) is to remove the eyeshadow pan from the compact to store them in big palettes and to see them all at once. on my side I had way to many little Mac pots and I was not using them because I had to open them to see them all together and have new ideas. Also here we had the “back to mac”, 6 empty pots = 1 lipstick, the lipsticks here cost a lot so that helped to get a few for free. I wish all the brands had the option to be delivered without the pot or the compact but unfortunately they don’t. it’s often a question of space, and easy access to them.